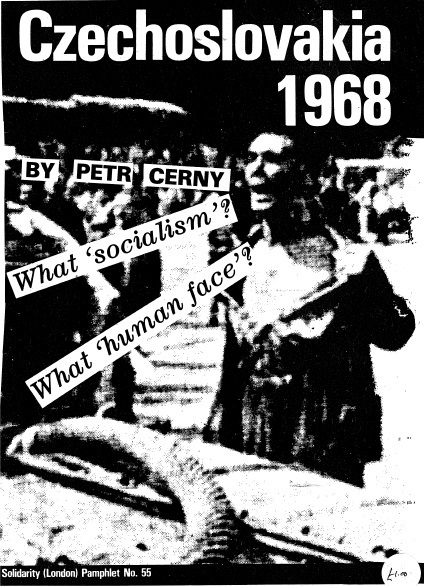 Excellent pamphlet from Solidarity with a critique of the myth of the Prague Spring. It recounts the internal struggles in the Czech Communist Party as the technocrats outmanoeuvre the dogmatists, and the working class do not show their potential until the Soviet invasion. Contains a postscript on the anti-intellectual ideas of Jan Machajski by Paul Avrich.